During the Protestant Reformation in England under the rule of King Henry VIII, the King has fired his closest advisor, Cardinal Wolsey, the Lord Chancellor of England for failing to obtain the Pope’s consent to his divorce from Catherine of Aragon. Wolsey was dismissed, arrested and replaced with Thomas Cranmer and Thomas Cromwell. Both Cranmer and Cromwell were sympathetic to the new ideas of Martin Luther and are believed to have advised the King that if the Pope would not grant the annulment, a split of the English church from the Roman church making the King the spiritual head of the English church would allow the King to grant his own annulment. The seven years debates by the English Parliament beginning in 1529 did not settle the matter all at once, but instead took powers away from the church clergy and passed them to the King. In 1531, the clergy of England recognized Henry as the head of the church, and in 1533, Parliament passed the “Submission of the Clergy,” a law which placed the clergy completely under Henry’s control. In that same year Henry married Ann Boleyn, who was already pregnant with his second daughter, Elizabeth. By 1534, Parliament had stopped all contributions to the Roman chuch by English clergy and lay people and gave Henry complete control over all church appointments. The “Act of Succession” required that everyone swear allegiance to the King as head of the English church and futher declared the children of Ann Boleyn to be the heirs to the throne. Henry VIII ordered Bibles to be published in English and took much money and land from the church. It is believed that he did this for political gains and not because he supported the ideas of Martin Luther, a monk from Germany who believed that the Roman Catholic church was corrupt. Luther’s ideas behind the Protestant Reformation were simple. The church should be changed, or reformed, so that it was less greedy, more fair, and accessible to all people, not just the rich and well educated. 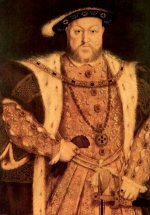 King Henry VIII’s actions laid the foundations for Protestantism in England which would transform England from a Catholic to a Protestant nation under the rule of Edward and Elizabeth. In Ireland, the English had controlled little more than Dublin and the countryside roughly twenty miles around it – an area known as the “Pale”. The Dublin parliament recognized Henry as “King of Ireland”, while Thomas Cromwell oversaw the closing of monasteries and convents, and the confiscation of Church lands and property. 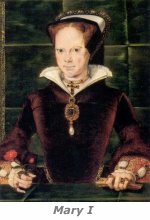 Protestantism continued throughout the reign of Edward VI, but on the accession of Mary I in 1553, some effort was made to restore the Catholic religion. Mary, however, was also the instigator of a new policy that would seriously influence the entire country in the future. Mary I approved the ‘plantation’ of two countries, Laois and Offaly, to be known thereafter as Queen’s County (Laois) and King’s County (Offaly). 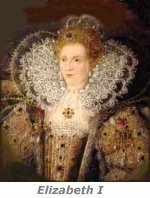 Whatever efforts had been made to restore the Catholic religion were shattered when Elizabeth I came to the throne in England. Elizabeth’s reign was marked by three outbreaks of rebellion against her rule, all of which would eventually end in failure. The first of these was the rebellion of the Ulster chieftain Shane O’Neill in 1559. Shane was the younger son of Conn O’Neill, who had submitted to the English in 1541, accepting the title of Earl of Tyrone. On Conn’s death the title, according to English law, passed to his eldest son Matthew, but this was contested by Shane who had the support of the majority of the Ulster Irish and who was then elected by them as their leader with the traditional Celtic title of “The” O’Neill. 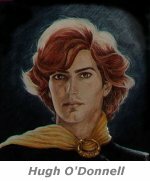 Matthew was killed in a skirmish with Shane’s followers and Shane now also claimed the title of Earl of Tyrone. The English were powerless against Shane and he was invited to attend Elizabeth’s court in London, where she could not help but be impressed by the personality and bearing of the Ulster chieftain. She made him “captain of Tyrone” and he returned to Ulster to exert his authority over the entire province. Unfortunately, Shane adopted the wrong tactics against his fellow Irishmen and instead of trying to unite them against a common enemy, he forced his authority on them and in doing so created more enemies for himself while weakening the strength of Ulster. First to suffer were the MacDonnells of Antrim, whom he slaughtered at the Battle of Glenshesk. He then turned his attention to the O’Donnells on his western flank, but was severely defeated by them at Lough Swilley. Seeking revenge, he turned to the MacDonnells of Antrim for assistance. During the festivities to mark the new alliance some of the MacDonnells recalled the slaughter inflicted on them at Glenshesk and executed Shane (1567). His head was sent to Dublin where government officials placed the head on a stake on the walls of the city. All the lands of the Ulster chieftains were declared forfeit with the exception of some lands belonging to Hugh O’Neill, the older son of Conn, who was also allowed to retain the title of Baron of Dungannon. Hugh O’Neill, son of Matthew and Baron of Dungannon, was adopted by Giles Hovenden after the murder of his father by his uncle, Shane O’Neill and raised at Balgriffen, near Dublin. There he was brought up in the English Court where he was trained in the English fashion, both in language, politics and in the art of warfare. Hugh O’Neill, regarded as a valuable ally by officials in Dublin, was quick to realize that an all-out war with the English was inevitable if Ulster, and Ireland, was to survive. He also realized that unity was strength and that peace with his fellow Ulster earls was essential if he was to achieve his goal of driving out the English invader. The other great Ulster chieftain of the period was ‘Red’ Hugh O’Donnell, the future chieftain of the O’Donnells of Tirconnaill (Donegal). 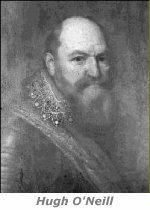 Following his escape from Dublin castle in December of 1591, secretly aided by O’Neill, Red Hugh O’Donnell, Lord of Tyrconnell, made his way back to Ulster. Crossing the Boyne, he avoided both Drogheda and Dundalk and made his way to the safety of O’Neill’s castle in Kinnard (Caledon) in Tyrone. 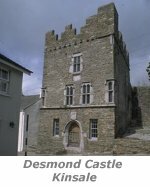 From there he headed west and soon reached the O’Donnell castles in Ballyshannon and Donegal to rejoin his clansmen and set about driving the English from Donegal. The English had occupied the monastery of Donegal, but in fear of O’Donnell, they soon evacuated it on his orders. O’Donnell was soon joined by his aging father as well as by MacSweeneys, O’Dohertys and other Gaelic chiefs of Tir Connaill. At Kilmacrennan on 3rd May 1592, the senior O’Donnell resigned in favour of his son, who was duly elected chieftain of his clan. Hugh O’Neill began drilling his troops in the latest European methods of warfare in the use of pike and matchlock firearms for a battle that he knew would be inevitable, eventually commanding about 1,000 cavalry, 1,000 pikemen, and 4,000 infantrymen. The English were attacked the next morning at Crossdall, but managed to fight their ay the last four miles to Monghan. On the 27th of May while making his way back to Newry after leaving a company of fresh troops and supplies at Monghan, Bagonel was ambushed again at Clontibret by O’Neill with 4,000 troops and the first major battle of the war took place. By combining a guerilla strategy with modern field tactics taught to his men, O’Neill had hoped to exhaust the English resolve by attacking English forts and other strongholds to draw out relief expeditions that could be ambushed much the same as Bagonel’s troops had been at Clontibret. O’Neill thought this would push the Engilsh to negotiate a settlement that would leave him in power in Ulster. In October of 1595, the Dublin government agreed to a truce which lasted until January 1, 1596, and was extended until May 1. During that time, O”Neill sought to align himself with new allies. Regarded as the defenders of the Catholic faith and long time enemy of Protestant England, Spain sent an envoy to Killybegs with promises of futher assistance. In the summer of 1597, Lord Deputy of Ireland, Thomas Burgh, launched a three-pronged English offensive into Ulster. The only accomplishment of the attack was capturing an earthen fort on the Blackwater. Burgh reinforced the fort with a garrison of about 150 men under the leadership of Captain Thomas Williams, who subsequently managed to fend off an attempt by O’Neill to retake the fort. 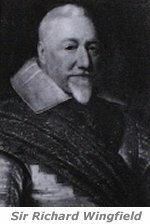 Lord Burgh died on October 13, 1597, and another truce was called while his successor was appointed. On the 14th of October, a Spanish fleet left Lisbon and Vigo to support O’Neill and O’Donnell, however an autumn gale scattered the ships before they could reach their destination. When the next truce expired in June of 1598, the Irish Council in Dublin was considering abandoning the Blackwater fort. That August, Bagonel offered to reinforce the fort with a column of 3,901 foot soldiers and 320 cavalry. As they approached Blackwater on August 10, the elements of the column were seperated and lost contact near a boggy stream called, “Yellow Ford.” There, O’Neill and O’Donnell’s combined force of 4,050 foot soldiers and 600 cavalry ambused the English column killing 25 to 30 officers – including Bagonel. More than 800 English foot soldiers were killed, another 400 wounded, and some 300 deserted to O’Neill. The Irish estimated their battles losses at 200 dead and 600 wounded. Yellow Ford was the worst English defeat on Irish soil, and resulted in O’Donnell extending his control over Connacht while Owne Rory O’Moore and Richard Tyrrell led 2,000 Irish into Munster, slaughtering any Loyalists that they found there. Sir Richard Bingham dispatched to Ireland with 8,000 troops, whom he garrisoned in the towns of the east, from Carrickfergus to Waterford. Queen Elizabeth was now determined to end the war and complete the pacification of Ireland. Robert Devereux, 2nd Earl of Essex, was appointed lord lieutenant and dispatched from London on March 27, 1599. In Ireland, Essex took command of an army of 16,000 foot soldiers and 1,300 cavalry. On May 9, Essex, with a sizable task force, set out for Munster. Accomplishing essentially nothing, the queen asked why he didn’t strike Ulster instead. Returning to Dublin, Essex learned that Sir Donough O’Conner was besieged in the castle at Colooney by O’Donnell. Essex sent a relief force led by Sir Conyers Clifford to relieve O’Connor, but Clifford’s force was by O’Donnell on August 15 in the Curlieu hills. 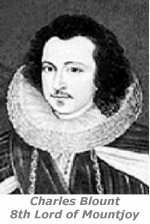 On September 7, O’Neill met Essex on the Monaghan-Louth border on the River Lagan to discuss making peace, but Essex was foolish in allowing this meeting to take place without witness, and the negotiations raised suspecion with the English court. When Essex returned to England in November, he was imprisoned and beheaded in the tower of London. Essex was replaced in Ireland by Charles Blount, 8th Lord Mountjoy, as Lord Justice and Sir George Carew as President of Munster. A veteran of service in the Low Countries and Brittany, Mountjoy was unlike those who O’Neill had faced in the past – a seasoned professional. Mountjoy immediately set about improving the condition and morale of his troops, riding in front of them, regardless of danger. He was able to spring constant suprise attacks on the Irish and kept pressure on those he persued. Mountjoy had an excellent lieutentant in Carew who largely used the Irish against themselves in his long campaign against the Munster rebels. Mountjoy was determined to secure the town of Armagh. Arriving in Newry on October 26, Mountjoy built a fort capable of holding 400 to 500 men just eight miles from Armagh. A strong English force led by Sir Henry Docwa had sailed into Lough Foyle to establish itself in Derry. Hugh Roe O’Donnell was having his own problems. Hugh’s rival, Neill Garve O’Donnell, had been enlisted in Englands cause with the promise of receiving the title to the whole of Tyrconnell. At the same time, Sir Arthur Chichester was established in Carrickfergus, and was similarly exploiting the divisions between the Clandeboye O’Neills and the Macdonalds. This way, the war was taken deep into Ulster throughout the fall and winter of 1600. On May 22, 1601, Mountjoy arrived back at Drogheda to force his way across the then fortified ford at Blackwater on July 14, penetrating O’Neill’s territory as far as Benburb. Then, on August 14, Mountjoy received reports of English pinnaces encountering some 50 Spanish ship believed to be headed for Ireland when they were driven back by a storm. The Spanish fleet of 33 ships had set sail from Lisbon under the command of Admiral Don Diego Brochero carrying 4,464 infantrymen, six guns for use ashore, and arms and ammunition for the rebels. Sailing to Ireland, Brochero knew that his best hope of reaching the rebel coalition was in Ulster, but Cork seemd the better naval option. Mountjoy reached Kilkenny on September 14, 1601, and a week later learned that the Spanish fleet had been forced by adverse winds to land at Kinsale. On November 1, Mountjoy had captured the fort at Ringcurren from the Spanish commander at Kinsale, Don Juan de Aguila. The withdrawal of so many English troops from Ulster, Connacht, and Leinster made it certain that O’Neill and O’Donnel would be able to march south, but it was O’Donnel who moved first, plundering the countryside as he went. Mountjoy dispatched a force under Carew to meet O’Donnell in Tipperary. Carew blocked O’Donnell at Ardmayle, but an unseasonal frost hardened the roads on the only alternate route across the Sleivefelim Mountains into Limerick, and O’Donnel was able to slip around Carew’s force. Carew hurried to rejoin Mountjoy on November 25. Instead of moving on to Kinsale, O’Donnell chose to wait for O’Neill. Meanwhile, O’Neill was marching to Kinsale, plundering and burning as he went. Six of Brochero’s which had been detached from the fleet due to storms had reached Ireland at nearby Castlehaven where they occupied a number of castles, much to O’Donnell’s satisfaction. Only after this did the local populations of Kerry and Cork side with the rebels. As the English and Spanish exchanged artillery fire on December 3 at Castlehaven, Mountjoy learned of O’Neill’s approach. With the addition of 500 to 600 Munstermen and 200 Spanish troops, the combined forces of O’Neill and O’Donnell now totaled about 6,500. Mountjoy’s nominal strength of 11,000 was steadily being reduced by sickness and desertion, and his cavalry horses were near starvation. His guns continued to batter Kinsale’s wall, and he’d hoped that the threat posed to the trapped Spanish might compell O’Neill and O’Donnell to engae him in open battle. Camped four miles north of Kinsale at Coolcarron, O’Neill wasn’t willing to give up his guerilla tactics in a direct confrontation, but O’Donnell eventually convinced him this would be for the honor of Irish arms. With O’Neill was Brian MacHugh Oge MacMahon, who had run out of whiskey. On December 22, he sent a boy to Captain William Taffe in Mountjoy’s service, begging him to ask Carew, whom his eldest son had served under in England, to send him a bottle for old times sake. Carew obliged and the following morning received a letter of thanks, and a warning that a pre-dawn attack was planned. Naturally, Carew shared this intelligence with Mountjoy. An hour before dawn, the Irish were approaching from the west. Mountjoy sent a detachment to meet the invaders. About that time, O’Neill had arrived on Ardmartin Hill overlooking the main English camp. Seeing the size of Mountjoys forces and a complete lack of activity by the Spanish at Kinsale, O’Neill decided to abandon the attack. As daylight broke, the English saw the Irish withdraw behine the Ballinomona. Seeing the Irish in disarray, Marshal Sir Richard Wingfield requested Mountyjoy’s permission to attack. Leaving Carew to guard the camp against the Spanish, Mountjoy gave Wingfield the freedom to attack and sent a detachment to support him. He also ordered his sergeant major, Sir John Berkeely, with Captains Sir Henry Ffoliot and Oliver St. John, to pursue O’Neill’s soldiers north of the Millwater. O’Neill’s 1,800-man force outnumbered Wingfield’s troops by six or seven to one, and held Wingfield at the Millwater until the arrivial of Mountjoy and Carew, whose additional cavalry raised the English to 400 horsemen. The more disciplined English horsemen succeeded in turning back the Irish cavalry, and the ensuing confusion created disorder among the Irish pikemen already under assault.With the pressure of a full frontal assault on the Irish forces, Wingfield’s cavalry took advantage of their freedom of movement to strike at the Irish rear. As a result, O’Neill’s formation broke with his men fleeing in disorder. Now facing Tyrell’s vangaurd, Mountjoy sent a company of St. John’s regiment to attack Tyrell’s flank and force him to retreat to a nearby hillock. At the same time, the Irish rear guard broke and fled, leaving Tyrell’s force of the best Irish troops, joined with del Campo’s Spanish contingent, to oppose Mountjoy. Tyrell’s force soon fell under the English advantage and the overwelming odds, with the Spaniards making a fighting stand until three quarters of them were dead. Only del Campo, two captains, and 47 soldiers remained standing when they had finally surrendered. The Irish army quickly disintegrated. O’Donnell’s men of Donegal and Connaught, seeing two thirds of the Irish army in retreat, also marched off to make their seperate ways home, in spite of O’Donnell’s exhortations. Meanwhile, Aguila had concluded that the Irish had canceled the two-pronged attack plan and had not moved from Kinsale. When Mountjoy fired a volley to celebrate his victory, Aguila took it as a signal from the Irish to attack, only to see the entire English army arrayed against him waving Spanish colors captured from Castlehaven. The Spanish quickly withdrew back into Kinsale, and Mountjoy was reluctant to storm the town. On Januray 2, 1602, Aguila agreed to surrender terms that involved the Spanish withdrawing from all the fortresses they held. In return they would be shipped home with their arms, ammunition, and colors. By the time he returned to Spain Aguila found that O’Donnell had arrived before him seeking further support, and found the failure of the joint ventured being unfairly laid at his feet. He died soon afterward, as did Hugh Roe O’Donnell that following autumn while awaiting another Spanish expedition that never came. The Battle of Kinsale was the turning point in the nine years war, although it would continue for another 15 months before O’Neill finally surrendered at Mellifort on March 30, 1603, six days after Elizabeth’s death – which Montjoy had concealed from him to get the best terms of surrender. Upon the subsequent learning of the queen’s death, the enigmatic O’Neill wept. Created Earl of Devonshire following his successful campaign, Mountjoy died of pneumonia in 1606 at the age of 41. O’Neill had to give up his Irish title, but retained his English status as Earl of Tyrone as did some of the other Irish leaders in Ulster under the Stewart rein of King James I. Later, however, when they learned of an English plot to imprison them, O’Neill, Hugh Roe’s brother Rory O’Donnell, and other former rebels tooship for the continent on September 4, 1607 in an event known as “The Flight of the Earls.” Hugh O’Neill died in Rome in 1616. The lands of the exiled chieftains were subsequently confiscated and divided into plantations for Scottish and English Protestant nobility.